I don’t know about you guys, but when I find a healthy recipe, and then see that it requires an hour of prep work and complicated ingredients, I’ve already given up. Because, sure, as much as I love whipping up something delicious for dinner, I’m a much happier lady when the recipe is a nice combo of healthy, easy, and delicious. Oh yes, I see that hand high in the air. 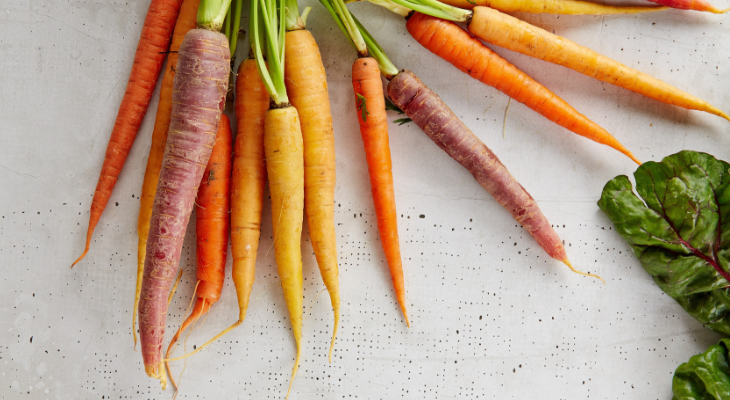 In this post, you’ll find healthy recipes that taste good, but most importantly, I ensured that each recipe uses less than 10 ingredients that you likely already have on hand, with minimal prep work. Sound good? Okay, let’s dive in. Try one of these easy, healthy dinners for tonight! 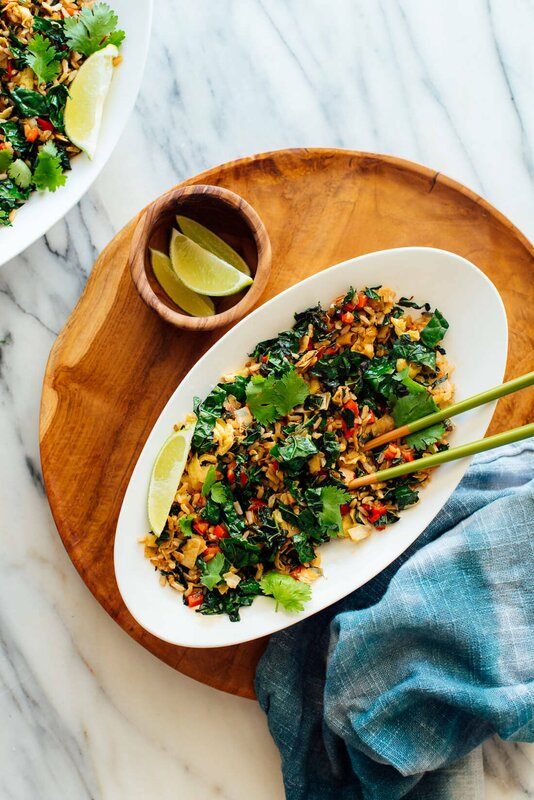 For quick and easy meals that are also healthy, Skinny Taste is one of my favorite sources of inspiration, so it comes as no shock that they’ve made it to the top of my list. 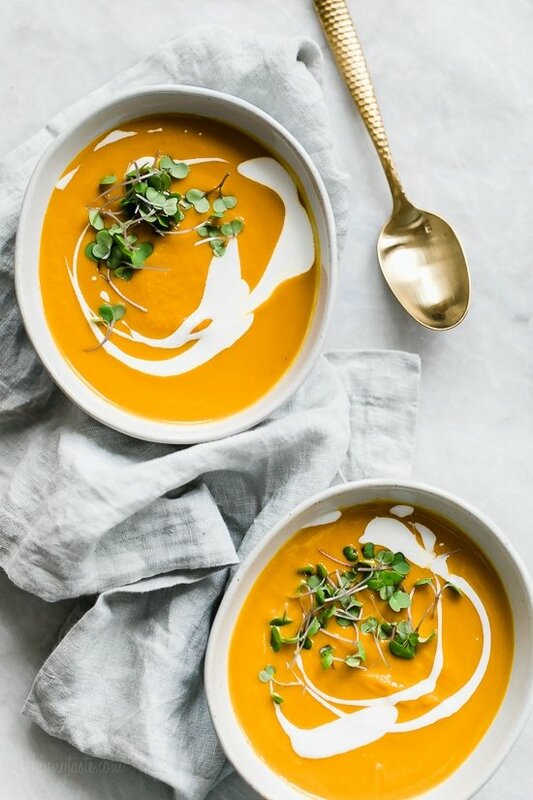 For an easy, healthy meal, I highly recommend giving this Carrot Ginger soup a try. Warming and full of immune boosting ginger, I love a good soup when looking for easy, healthy dinners. Simply throw all the ingredients together, and you’ve got a meal for the night. Plus, you can always add some chicken or shrimp, if you need that little protein kick. Give this yummy recipe a try. If you’re vegan, and you’re looking for easy, healthy dinners, there’s no better source than the Minimalist Baker. Never heard of them? Oh you’re in for a treat, especially if you make this. I specifically picked a recipe that didn’t use any ingredients that were overly complicated or obscure ( in this recipe you can definitely just swap out the coconut sugar for regular sugar if you’re not picky about that sort of thing). Seriously, this is basically some tomato sauce, lentils and spices. So easy, and something that literally anyone can make, whether you’re vegan or not. 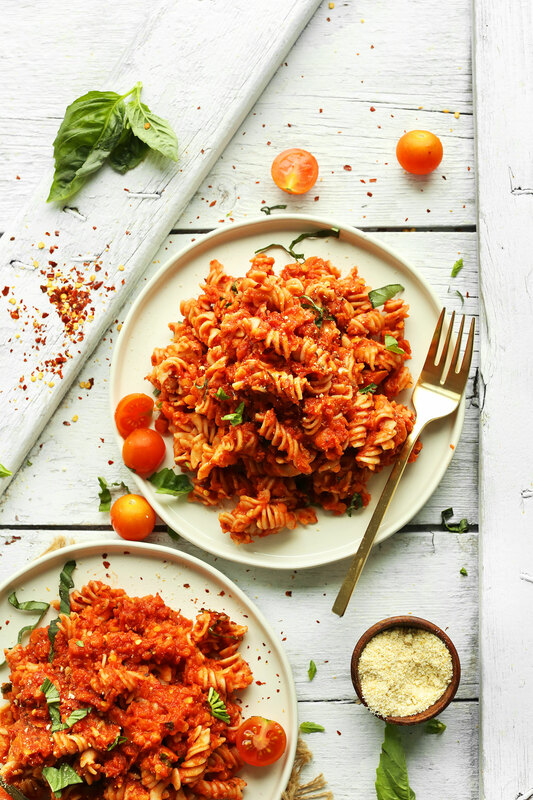 Give this Spicy Lentil Pasta a try by clicking here. 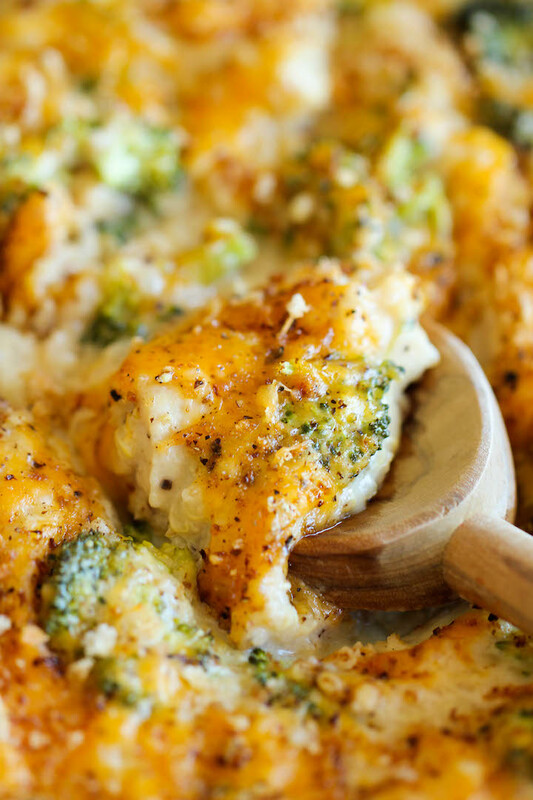 When I’m looking for easy, healthy dinners, I love a good casserole. In particular, one with cheese is always a winner in my books. 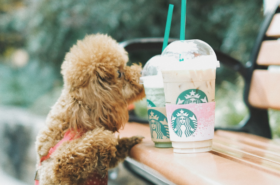 For this one, to make it a little healthier, I would probably use a reduced fat cheese, and skim milk just to lower the calories a little, but that’s just me. Try this recipe out by heading here. Whenever I hear the words Thai food, I’m all in! And when I can make it a little healthier, it gets even better. 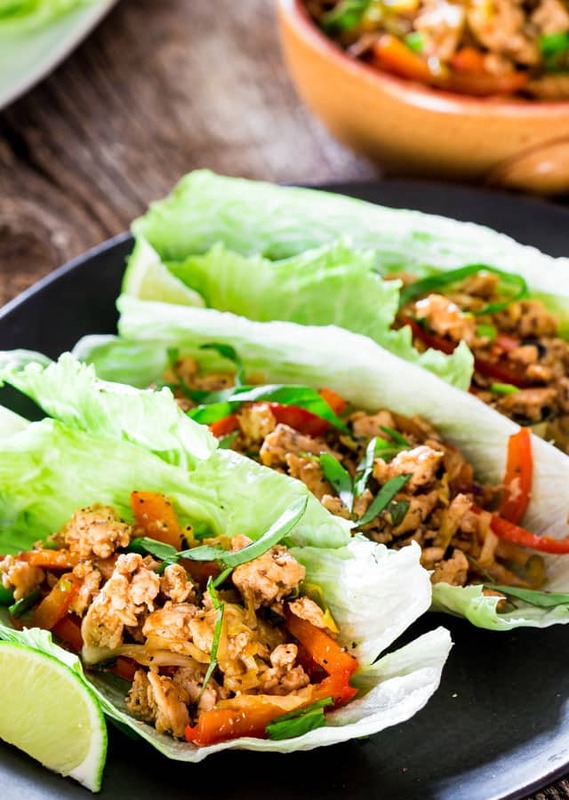 By swapping out the bread for lettuce, this recipe instantly becomes healthier, but still with all the flavor you love. The only thing you might not have on hand is the red curry paste, but I’ve bought this before and you should have no problem finding it at your regular grocery store. Plus hey, this recipe takes only 15 minutes, so it’s one of those things that once you have on hand, you can keep making this easy, heathy dinner when you’re in a pinch. Check out this yummy Thai inspired dish here. I love a good one pan dish. Not only do these recipes tend to be easier, they’re also amazing for reducing clean up time, which I love. Give this one dish option a try, and I think you’ll quickly see the appeal. Check out this easy, healthy dinner recipe here. Yes, you read that correctly, this recipe is made with only 5 ingredients! Really, need I say more? Check out this super easy dinner recipe here. For a long time I was a vegetarian, and I still don’t eat a ton of meat, so I’m all about this vegetarian food blog, Cookie and Kate. 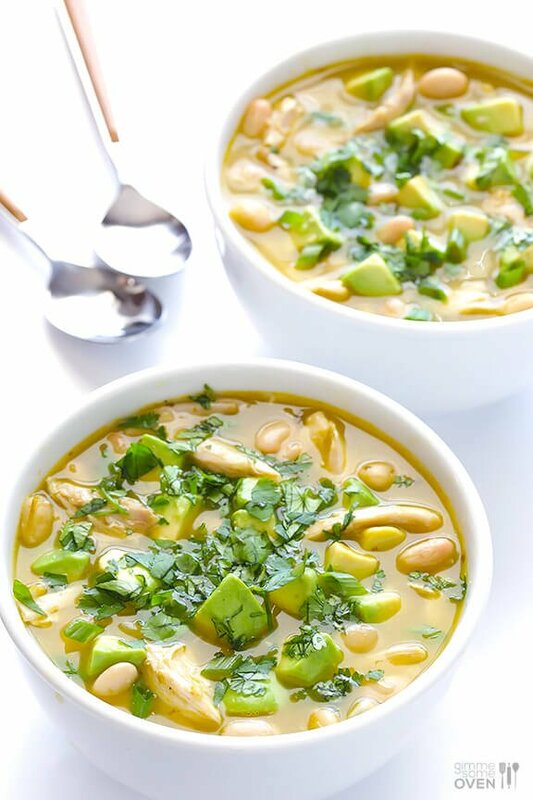 When I saw this recipe, I just couldn’t resist adding it to the list, because, out of all the easy, healthy dinners on this list, this is the one that I want to make the most! If you love a little spice and the taste of coconut, I’ve got a strong suspicion both you I are going to be making this recipe over and over again. 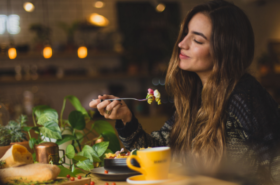 If you’ve never heard of the popular food blog, Pinch of Yum, there’s a possibility you might have been living under a rock, because when it comes to delicious food, they’re masters. In particular, I’m really itching to try this salad. 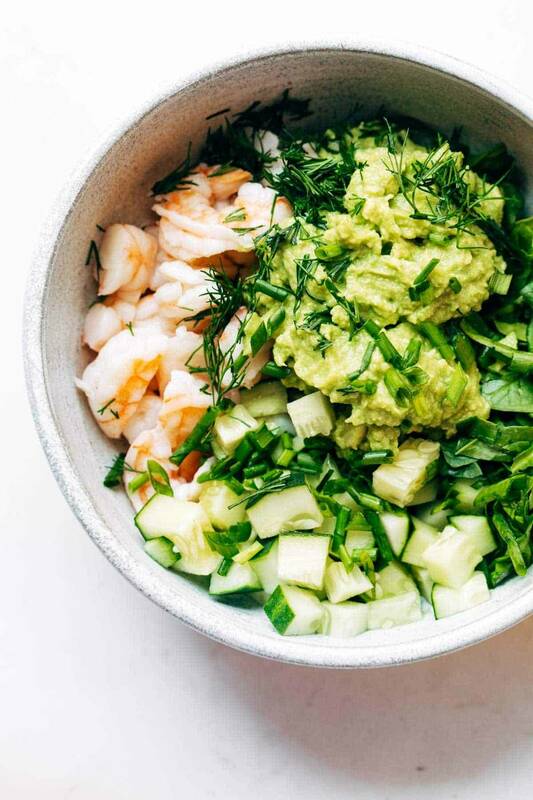 While salads aren’t everyone’s favorite meal, to me, when I can find a delicious salad, I’m all about it, especially when it involves avocado and shrimp (two of my favorite foods). Plus hey, this salad calls for less than 10 ingredients, and “super quick” is right in the name. How can you resist? Check out this easy, delicious salad recipe here. I am absolutely obsessed with Deliciously Ella. Not only because she provides easy vegan meals, but also because she just seems like such a genuine person. I follow her on Instagram, and I highly recommend checking her out if you’re looking for someone who has a really good energy. But anyway, onto the food. This recipe sounds absolutely perfect for a light summer dinner, but really, anytime that I can get some mango into my life, you don’t have to try and convince me. If you’re in the same boat, and a recipe with less 10 ingredients sounds like a dream to you, I’m confident you’re going to love this. Check out this quinoa recipe here. 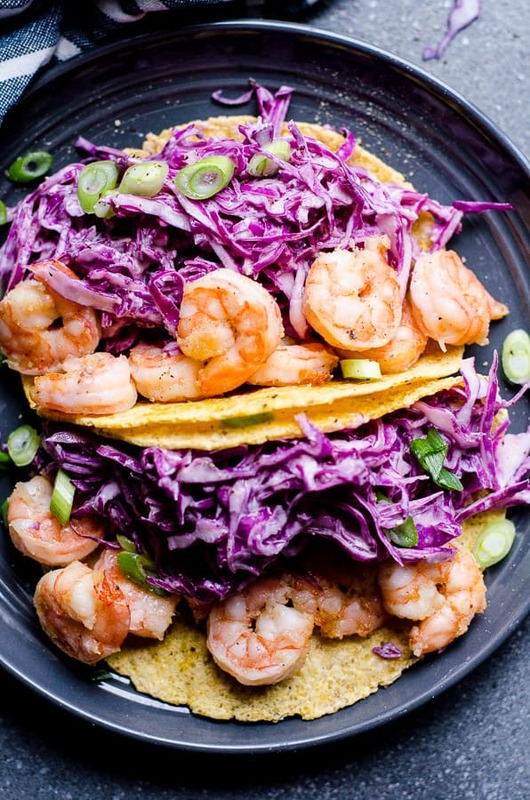 Pretty much anytime I see shrimp tacos on a menu at a restaurant, I’m ordering it, which is why I was so excited when I came across this easy shrimp taco recipe. And honestly, guys, it really is super easy! If you’re like me and you love yourself some shrimp tacos, be sure to check out this recipe here. 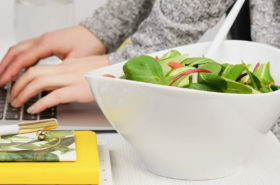 So which of these easy, healthy dinners will you be trying? To be honest, they all sound pretty delicious to me, but I’ve got a serious craving for a salad and some shrimp now (Yes, sometimes I crave salad. Weird, I know). 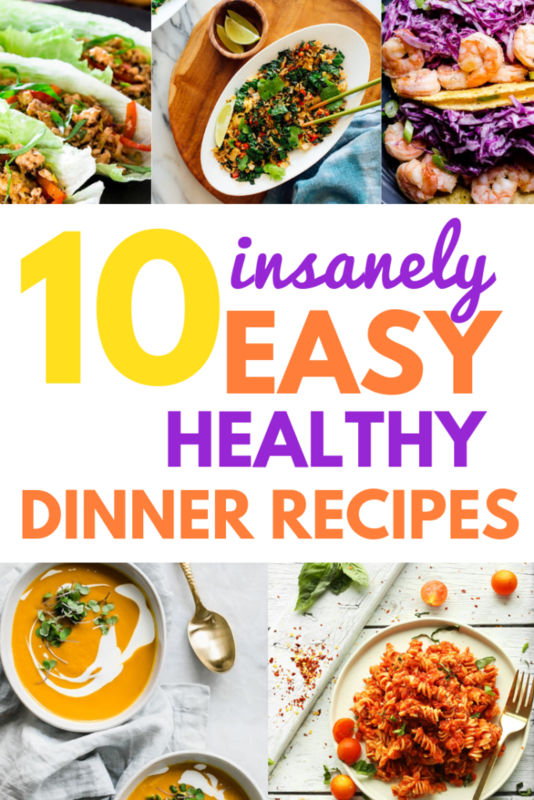 If you try out any of these easy, healthy dinners, let me know how they go! I love comparing notes. Happy cooking, all!